Bill Butler says it took him a while to get "out of a coma" following Donald Trump's presidential election in November. 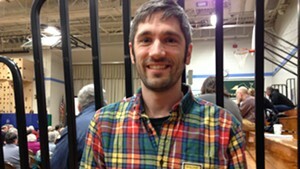 With Town Meeting Day just around the corner, he's using that local platform to take a stand on national issues. Butler, who lives in Jericho, is recruiting residents across the state to vote in support of a requirement that presidential candidates disclose their tax returns in order to appear on Vermont ballots. He came up with the idea after Trump claimed in a January press conference that "the only ones that care about my tax returns are the reporters." "That's when the light went on," Butler said. "I was like, 'I care.'" Susan Harritt, Butler's wife and a retired attorney, drafted suggested language: "The citizens of ____, Vermont support the efforts of our state and federal legislators regarding proposed laws that require the disclosure of federal tax returns before a presidential candidate's name can be placed on the primary and general election ballots." The measure echoes language in two bills currently making their way through the Vermont House and Senate. Along with Jericho, individuals in Williston, Underhill, Bolton, Waterbury and Rutland Town have agreed to propose the measure at their respective town meetings on March 7, according to Butler. "The idea is to get as many towns as possible to bring something up that relates to the national system," he said. "It may sound like a cacophony … but it's going to be a symphony." The initiatives won't appear on the ballot. Instead, Butler wants small groups next Tuesday to present the votes as "new" or "other" business. He modeled his approach after that taken at town meetings in 2012, when more than 50 towns voted to overturn the U.S. Supreme Court's Citizens United ruling about money in politics. Several of those votes were not on the ballot but instead were introduced in person. Butler also drafted a "Town Meeting Day Action Toolkit," which includes practical tips for introducing an initiative: work with a group of five people to call the motion and second it, ask for a hand vote, and warn the moderator ahead of time. 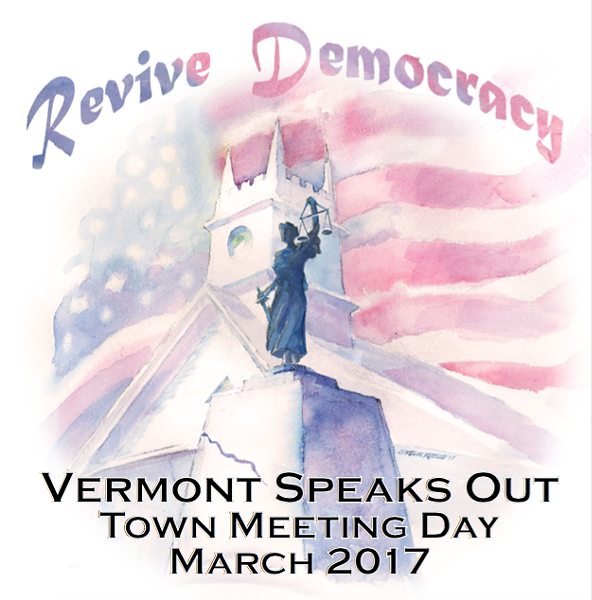 And if some Vermonters prefer to address a different national issue on Town Meeting Day, it still contributes to a cohesive message of resistance, Butler said. The towns "are all basically going to say the same thing: We really feel like this is getting out of control. There are things at stake that matter to us now." And already, Butler is starting to organize voters for the 2018 Town Meeting Day. "We didn't have very much time to prepare this time around," he said.